I know I know, it has taken me forever to write about one of the most exotic places I have been to . But better late than never. Dont you think 😉 . 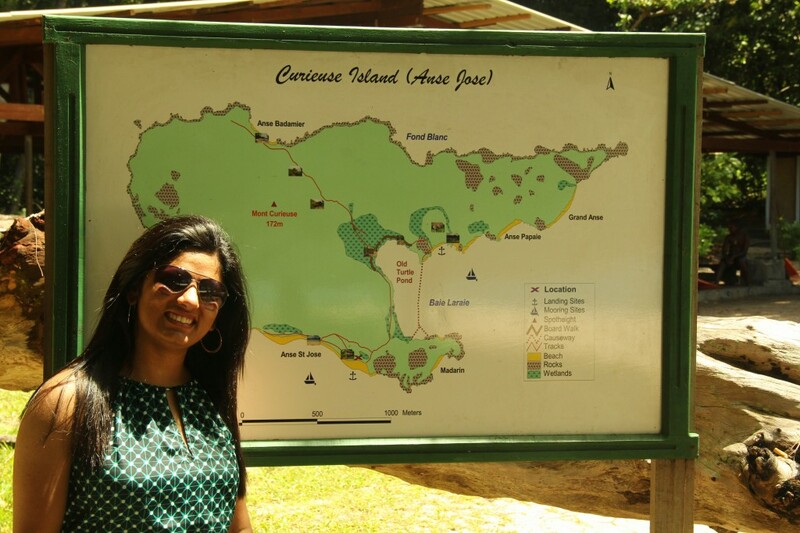 So here it is, my Royal Honeymoon @Seychelles.After months of planning, stressing and the hectic wedding celebrations it was finally the time for honeymoon and I was super excited. But we got onto the flight all exhausted and we had barely managed 3 hr nap. I was pretty sure that we would arrive so tired that we would hardly have energy to enjoy. But as soon as my plane touched the island and I could count the shades of blue in the vast ocean before me, I was all energized and ready to explore my first Island ‘PRASLIN’. About Seychelles : Seychelles is an archipelago of 155 islands, stretched in a jeweled crescent from the equator to the tip of Madagascar. About 85 of the total islands are just noisy seabird colonies and this archipelago would have remained a hidden secret had it not been to modern technology. The airports and ferrys sprung this Aladdin’s cave of tourism and now it has become one of the most exclusive holiday destination. The islands of Seychelles are categorized as inner islands and outer islands. I got an opportunity to visit Mahe (the capital of Seychelles), Praslin (the second-largest island) and La Digue (famous for sculptured boulders). All set to leave from Mahe. 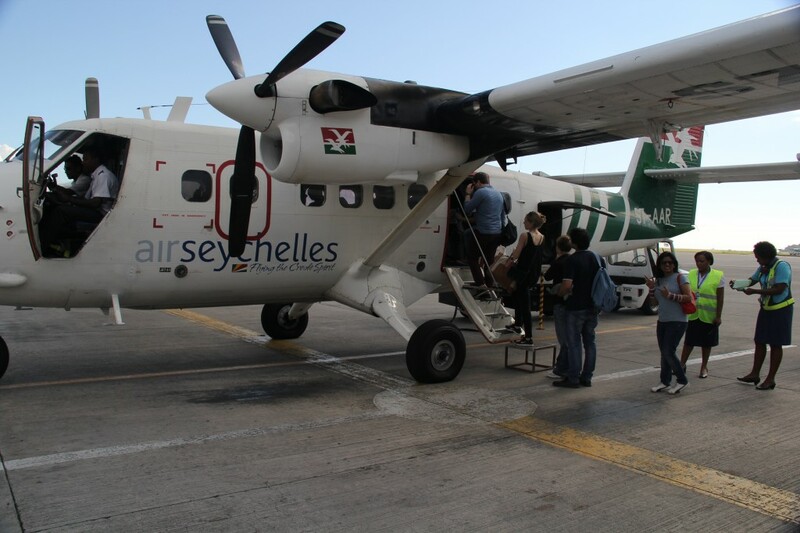 By Air: Air Seychelles operates frequent service to Praslin from Mahe. The flight takes only 15 mins and costs around $95-$100. 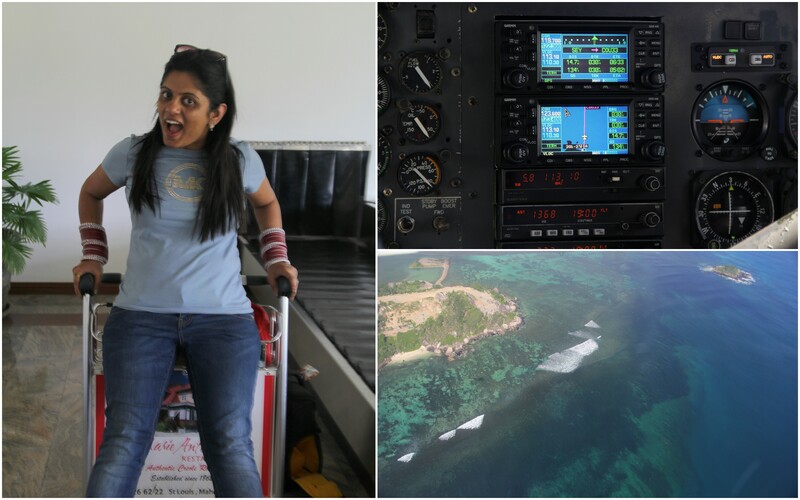 Flying in 20 seater plane over pristine waters of Indian Ocean takes your imagination to whole new level. 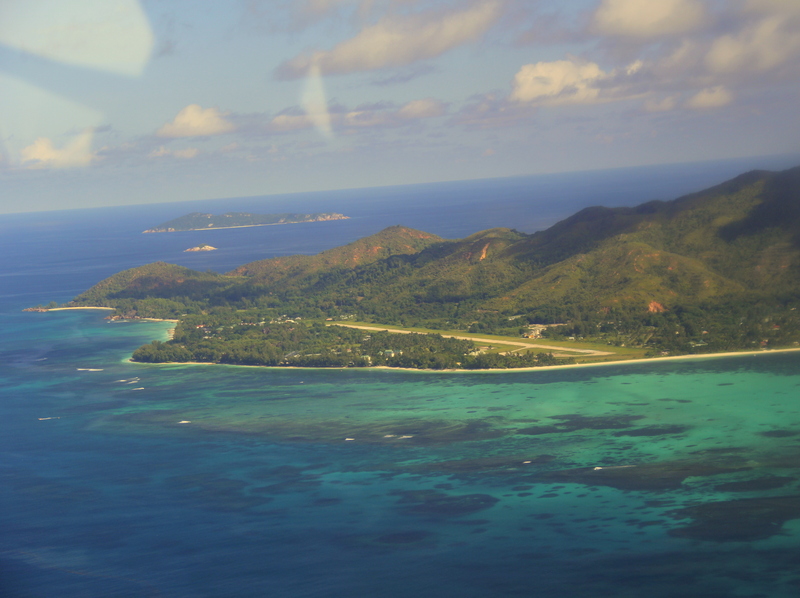 Flights shuttle between Mahe and Praslin every 15 minutes during peak times and less frequently otherwise. By Sea: Cat Cacos, the ferry takes about an hour to travel between Victoria harbor on Mahe and Ste Anne on Praslin and costs $55-$60 one way. 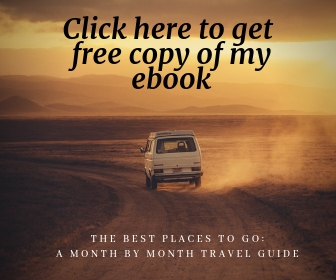 Best time to visit : April to May and October to November. 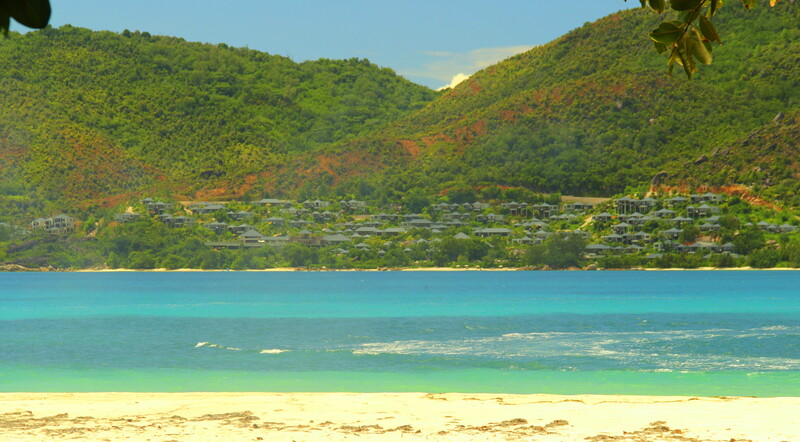 There are all kinds of accommodations available in Praslin depending on your budget. You can stay in guest-houses and budget hotels for as low as 85$ per night and can go top dollar hotels like Paradise Sun for 500$ per night. I will suggest to stay at north east part of the island as it has right balance of being touristy and yet not being overcrowded. This area has great restaurants to enjoy creole food, beautiful beaches to spend evenings and some shops from where you can get all your necessities. I stayed at Berjaya Praslin Resort. It was moderately priced and Anse Volbert beach was right in front of the resort. 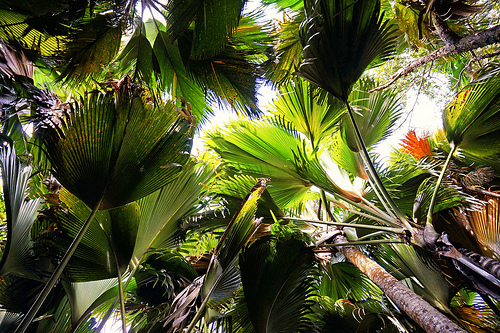 1) Vallee de Mai : Vallee de Mai is one of Seychelles’ two UNESCO World Heritage Sites. Its specialty is Coco de mer Palms which has the largest seed in the world. The Coco de mer is a serious cash crop in the Seychelles, the nuts have become the de-facto national symbol and it is illegal to take these nuts out of the island unless you buy it as souvenir from a gift shop. 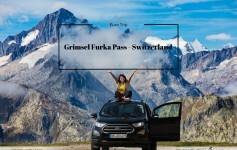 For me, I was just happy with its winsome image stamped on my passport on arrival :). 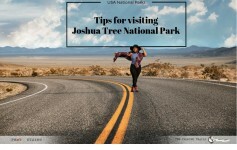 It took us almost 3 hours to complete the full north-to-south circular route and i was bowled over by the expansive views of the forest thinking what the island must have looked like in its pristine state. My suggestion would be to hire a guide as you will see so much more than if you walk unaccompanied. If it rains do not worry, the cathedral-like canopy of leaves will not let a drop reach to you. Coco De Mer Myths and Legends : There are many myths and legends about Coco De mer palm ‘s seed. Its unique shape makes it intriguing and mystical. It is beleived that it takes 30 years for a female coco de mer tree to mature enough to produce the famed Seychelles nut. The myth states that the male tree rises on its roots during the full moon and treks across the forest to mate. No-one has ever reported on this phenomenon , because as the story goes, if you witness it, you will be instantly turned into a black parrot. And since I am not turned into a black parrot, I have surely not seen this happening. 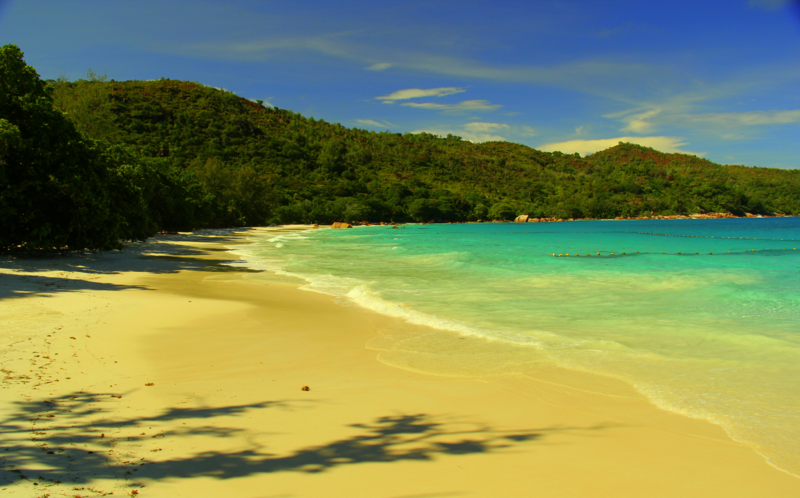 2) Grand’ Anse: Grand Anse is also known as bohemian backwater of Seychelles and is on the western side of Praslin. This area buzzes with hotels, resorts and rentals . You name it and this area has it. From grocery stores to bank, from arcade to nightclub, there is nothing that you will not find in this area. There is fish market, a plantation house, a library and a post office. We rented a car and explored the area on our own. But I must warn you, Grand Anse is not a good swimming beach and beware of sandflies. big glacis boulders, I am sure you will not want to come out of this imagination. At least that was the case with me. 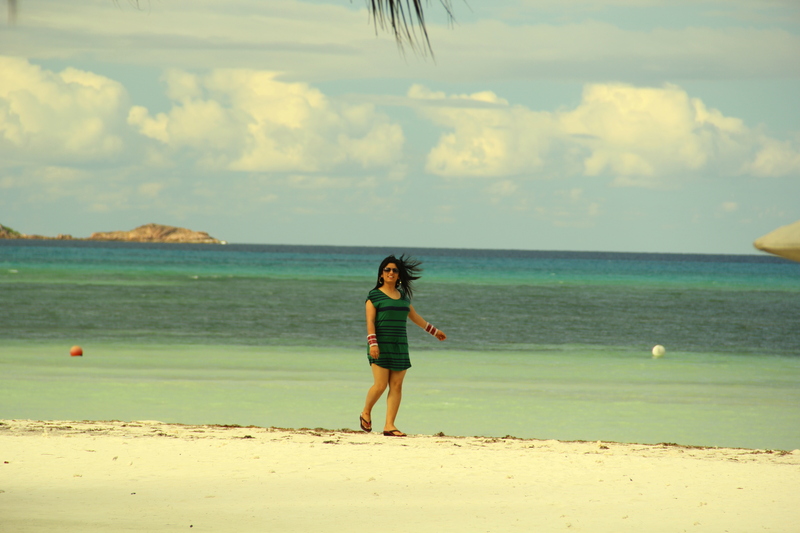 I had never in my life seen something as beautiful as Praslin beaches. Anse Lazio is the most famous beach of all . This beach is Located in the north of Praslin and I was awestruck by its crescent-shaped beach strip and round granite boulders.This beach is great for snorkelling and its gentle slope make it ideal for swimming. If you happen to go to North west part of the Island , Anse Boudin is must see. The closest landmark to this beach is Raffle Resort. In the north east side of the Island, Anse Government is a must see. 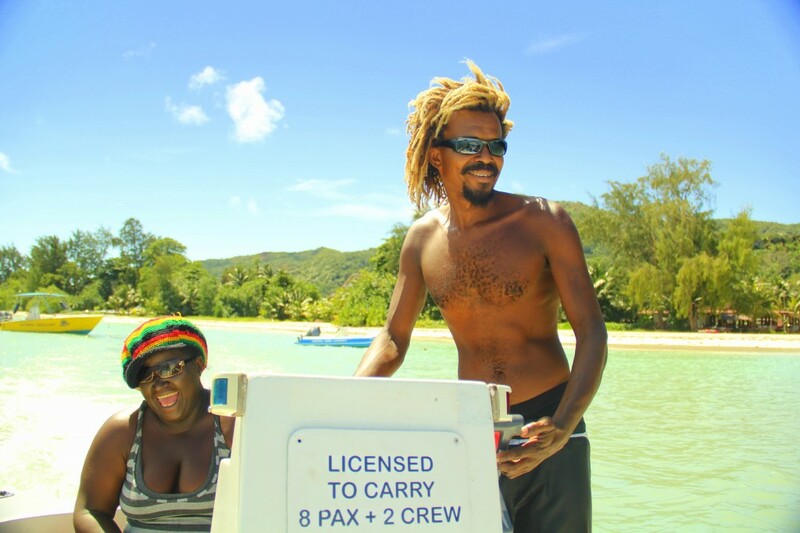 Here, you can engage in a lot of different activities, such as water sports, boat tours or fishing trips.There are some good restaurants to enjoy creole food. All the beaches are safe but it is still advised not to leave your belongings unattended. 4) Island Hopping : If you are planning a trip to Praslin do keep a day aside for island hopping.Most of the hotels or tour operators will be able to arrange an excursion. They come with different packages like with water sports,snorkeling, food etc and generally costs 80$ per person. We hopped on a day tour to Curiese Island, a mile off the northern coast. The island is breeding ground for 250 giant tortoises.There are good walking trails round the island and takes about an hour or so if you want to cover the whole island. I will suggest not to miss Curieuse Peak because view from the top is spectacular. Beware of crabs as they are just everywhere. 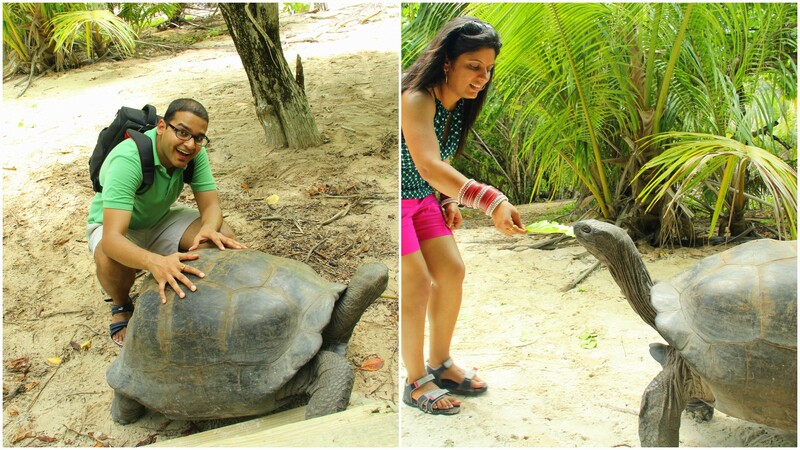 Feeding the Tortoises with leaves was a sheer bliss and absolute fun. Never in my life had i seen such big tortoises. The other options for island hopping are Cousin island (home to Magpie Robin and Seychelles brush warbler),St Pierre, which is an excellent spot for snorkeling and Aride , home to breeding sea-birds. 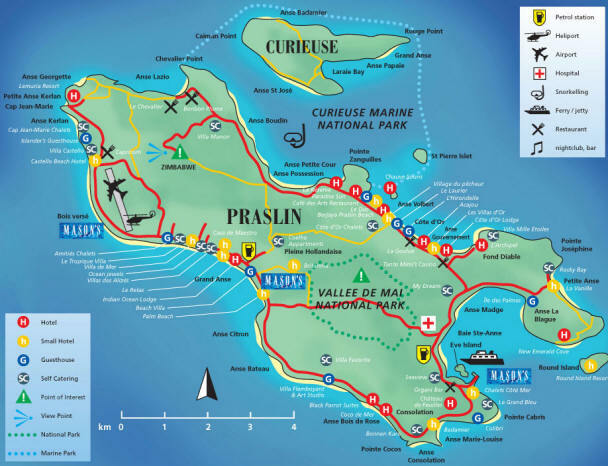 I hope this all helps in planning your trip to Praslin. We were there for 3 days and I remember how sad I was while leaving this island thinking nothing could ever be as beautiful as Praslin. Little did I know that every inch of Seychelles is poetry in itself and I was bound to be surprised more. As i boarded my ferry to La Digue I had only two things in my mind 1) when will i return to this paradise? and 2) Can Seychelles surprise me more with its beauty?If you have any questions leave me a comment or send me an email and I will be more than happy to help. Thank you for stopping by. Next Stop LA DIGUE !!!! Looks spectacular! Enjoy the honeymoon. I am definitely going to refer back to this article when we start planning a trip to paradiso Seychelles! This sounds like an incredible honeymoon! I’m currently trying to figure out where I want to go… this is definitely a contender! I am lucky enough to actually live here. Thanks for writing about our country, and I am glad you enjoyed your stay. There are many more “treasures” that are waiting for you to discover them, so I do hope you come again. Congratulations on your wedding and on behalf of Seychelles, we wish you many decades of happiness. 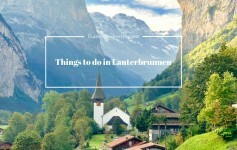 Sorry for late reply, I was travelling….And yes do go .. you will love it. this article aand the rest of the site is also really good.